Nizoral is an antifungal antibiotic which is used to treat candidiasis, blastomycosis, coccidioidomycosis, histoplasmosis, chromoblastomycosis, or paracoccidioidomycosis. Nizoral is an antifungal antibiotic which is used to treat serious fungal or yeast infections, such as candidiasis, blastomycosis, coccidioidomycosis, histoplasmosis, chromoblastomycosis, or paracoccidioidomycosis. Nizoral kills sensitive fungi by interfering with the formation of the fungal cell membrane. Also Nizoral is used to treat parasitic fungal infections on the skin that cannot be treated with topical medicine or griseofulvin, or for patients who cannot take griseofulvin. Dosage for children 2 year old is based on body weight and consist a single daily dose of 3.3 to 6.6 mg/kg . Do not use it without doctor's permission and dose has to be prescribed just after consulting with your doctor. For children up to 2 years of age use it just after doctor's permission and dose has to be prescribed after consulting with your doctor. Liver problems may occur while you are taking this medicine. If you experience one of this symptoms: dark urine; abdominal pain or tenderness; clay-colored stools; nausea and vomiting; decreased appetite; skin rash; fever; headache; itching; loss of appetite; swelling of the feet or lower legs; unusual tiredness or weakness; or yellow eyes or skin call your doctor immediately . 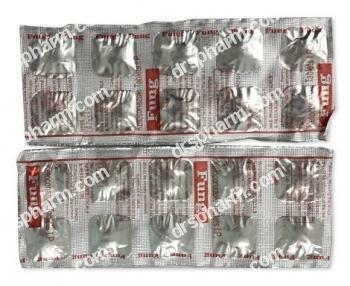 Nizoral should not be used during pregnancy, becoming pregnant or lactating without doctor's advice. Do not use this drug before breast-feeding without doctor's permission.